There is only one INclusion COordinator allowed per setting. If someone within your service has graduated or is a current student of the programme than unfortunately you cannot apply. Candidates must be working within an early years setting and be nominated by their employer/manager to participate. If employees do not wish to do the programme than an owner/manager can nominate themselves. Any setting contracted with Pobal for any DCYA Early Years programme can nominate someone for LINC (these could be ECCE, CCS, TEC). Candidates must have a Major Award at Level 5 or higher in a related discipline to be eligible for the programme. Nominated a candidate last year? Your candidate withdrew from the programme. Your candidate is no longer employed by you. 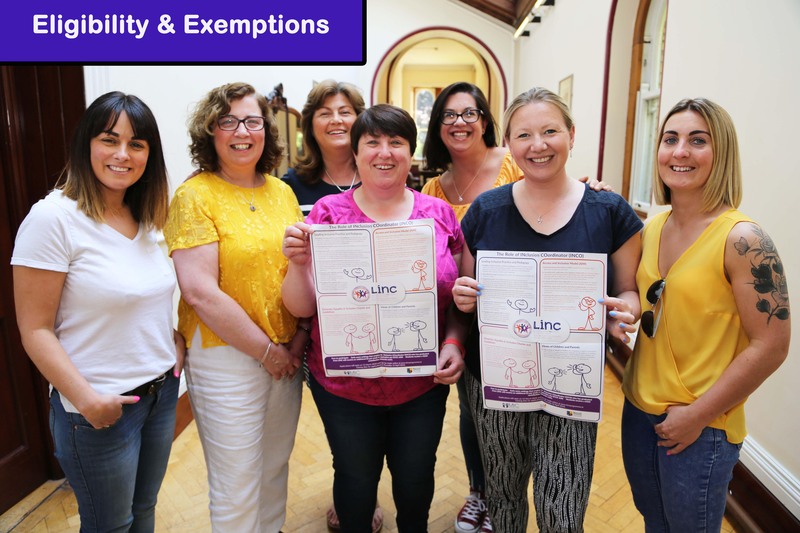 If your candidate is no longer employed by you, it is important that you let us know in writing immediately to linc@mic.ul.ie so that we can update your eligibility information. If you applied for, but were not successful in gaining a place last year, you are eligible to apply again this year. Applicants with qualifications at an equivalent or higher level to the programme (Level 6 or above) may seek exemptions for two of the six modules: Child Development and Curriculum for Inclusion. These are the only two modules in the programme which are eligible for an exemption. When applying for exemptions from these modules, applicants must demonstrate that they have successfully met the learning outcomes for these two modules, and decisions will be made on a case by case basis. Candidates can only apply for exemptions after they have been granted a place on the programme – further information will be made available to successful candidates. If you have further questions around eligibility and exemptions please refer to the frequently asked questions section of this website. Applications for the programme can only be made online through this website. In order to submit an application you will need to go to the apply now section. Once you click on “make an application” you will be asked to enter your username and create a password. Your username is your Pobal or DCYA reference number, your password can be anything you wish. Subscribe to our newsletter to be notified about the opening of applications. You can change your mind at any time by clicking the unsubscribe link in the footer of any email you receive from us, or by contacting us at linc@mic.ul.ie. We will treat your information with respect. For more information about our privacy practices see our Privacy and Cookie Statement.